Bob’s Upholstery has been hand-crafting beautiful auto upholstery in Marietta GA since 1960. We specialize in all types of car seat repairs; including leather car seat repair, and motorcycle upholstery. Give us a call for a free estimate 770-421-1278. Your car can look beautiful again. See why so many people have trusted Bob’s for car upholstery repair in Atlanta for over 60 years. We offer superior craftsmanship at surprisingly affordable prices. We specialize in fixing auto seats, headliners, carpet, door panels, dashboards, and convertible tops. And it’s all done on-site in our family-owned car upholstery shop. Our experienced tradesmen will transform your car’s interior to fit your exact needs and your budget. We’re so committed to getting you the best price that we proudly stand by our price match guarantee. Show us any advertised price on fabric and we'll either meet or beat that price. And of course, we offer free estimates and promise quick turnaround so you’re not waiting days and days for your vehicle. Our car seat repair specialists fix tears, cigarette burns or unsightly stains on your car upholstery fabric, and make your car seat look like new again. Torn fabric will easily tear further and become a messy hassle. And stains, burns, and tears have a negative effect on your car's value. But don’t give up hope! The unsightly fabric can usually be replaced with the original upholstery, and for less than you may expect. We will patch, sew or refurbish almost any make or model, and our quality repairs are almost unnoticeable. Of course, you can completely change your car upholstery fabric and transform the interior into the car of your dreams. Choose from our large selection of durable fabrics, including suede, leather or vinyl. 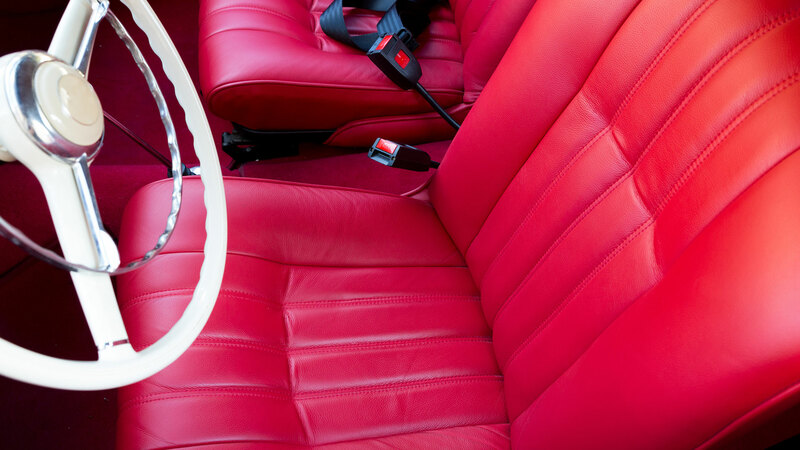 Customize your interior with help from our car upholstery fabric experts. 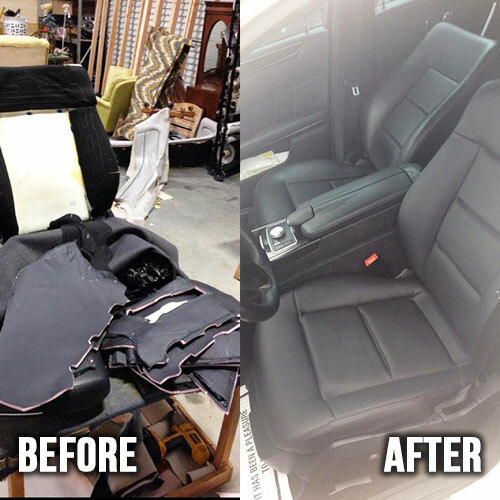 We’re the authority in car upholstery repair in Atlanta. Our goal is to impress you with high quality and value so you can take pride in your car again. And it goes without saying that we’ll take excellent care of your vehicle in our car upholstery shop. If your seat is broken or the cushion is worn-out, our car seat repair professionals can rebuild the seat with new springs, foam or padding. We put our years of furniture rebuilding expertise to work on your car seat and repair it with great attention to detail. Go with Bob’s and you’ll be riding in style and comfort in no time. Plus, we’ve got a huge selection of car upholstery fabric so you are sure to find exactly what you need. We guarantee you’ll find something that fits your style and budget. All of our services are done on-site in our car upholstery shop so we can get your car back to you as soon as possible. 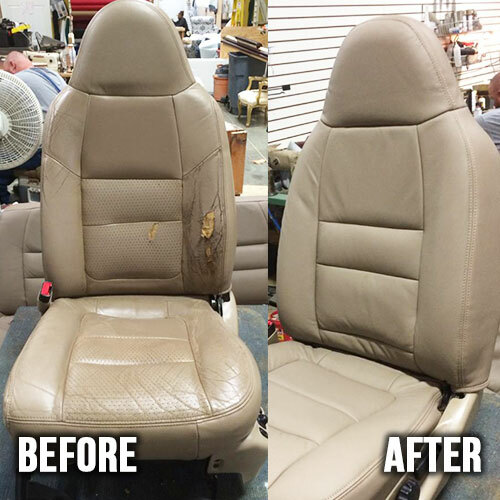 When you need high-quality auto upholstery in Marietta GA, Atlanta, and surrounding areas, contact us to add years to the life of your vehicle. Call us today for a free estimate 770-421-1278. You can also visit our showroom located at 2316 Canton Road in Marietta.